Whether you are buying, selling or looking to mortgage or insure an underpinned property, there are a few simple rules to play by. Specialists in underpinned property insurance, Highworth insurance explain. What’s important when dealing with any underpinned property are the facts. So long as insurers, mortgage companies and prospective buyers know (and preferably have supporting paperwork) about what has actually happened to a property structurally, then buying, selling, mortgaging and insuring an underpinned property need not be a headache. What you need in these situations is an insurer, prospective buyer and/or mortgage company that are willing to look at the individual circumstances concerning your property and base their decisions accordingly. When it comes to underpinning, every situation and every property is different and so every circumstance should be dealt with on its own merit. 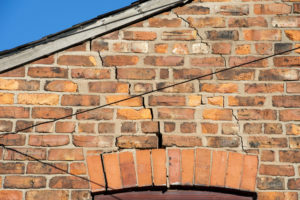 If your property has been underpinned due to subsidence, you will find selling it much easier if you have any or all of the following paperwork; Interim and Final Certificates, a Certificate of Structural Adequacy, a Structural Buildings Survey and/or a Structural Engineers Report (either Specific or General or both). Also, if you have specialist underpinned property insurance, be sure to pass on details of this to potential buyers, very often new owners benefit from an existing policy because the current insurers already know all the details of the underpinning. Plus, the premiums are not always as high as many people assume when considering buying an underpinned property. If you can remove this obstacle for them by offering a current solution, you can go some way towards alleviating any fears around buying an underpinned property. Thinking of buying an underpinned property? Many buyers first reaction to finding out that a property is underpinned is to panic. Actually it’s not always as bad as it seems. Firstly it is important to find out all you can about the underpinning, it is not always undertaken due to subsidence. Ask the current owners for details and most importantly supporting paperwork and certificates for the work carried out. If this is not possible, you may be able to make enquiries with the local council. An underpinned property isn’t necessarily in any or more danger of falling down than any other, the very fact that it’s been underpinned is evidence that any structural uncertainty has been rectified. Although this may prove less straight forward than mortgaging a property that hasn’t been underpinned, it need not put you off. Again, information is key. It’s important to be very upfront with whoever you are looking to get the mortgage from, as to the underpinning, the reasons for it and the works that have been undertaken to rectify the situation. Offer any certification you may have and be prepared for the mortgage company to request that an underpinned property insurance policy to be in place. It is also likely that your mortgage company request that this policy covers your home in event of subsidence. If you are looking for underpinned property insurance, the elephant in the room is usually higher premiums and higher excesses. Many mortgage companies will request the excess for subsidence risk to be the standard £1,000 and certainly not in excess of £2,500. As specialist insurers at Highworth Insurance we can make underpinned property insurance straightforward, without applying unfavourable terms or massive premiums. We have a number of specialist schemes in place and the ability to underwrite individual circumstances. This enables us to provide insurance for properties with subsidence or a history of movement, tailored to unique circumstances. To find out more, you can call our knowledgeable Account Managers on 01202 937430 Monday to Friday between 9am and 6:30pm and on Saturdays between 9am and 12:30pm. They will be able to give you a quote based on the unique circumstances of your home and provide advice on which policy is best suited you.